I don’t know about anybody else, but February has me seeing pink and I’m not mad about it. It’s obviously because corporate America throws up Valentine’s Day merch everywhere, but whether or not you’re a fan of the holiday, it’s always refreshing to add a little color in your life. I did some research into the color pink and psychology says that pink has a calming effect and encourages optimism. A light pink is even used in prisons to calm inmates! But before you go painting your walls pink, some inmates tended to get upset after long exposure to it, so the takeaway is, pink in small doses. It is also related to love, but while red represents passion, pink evokes tenderness. Whether you are in love or not, upping your daily dose of pink may help attract some serious loving vibes your way. 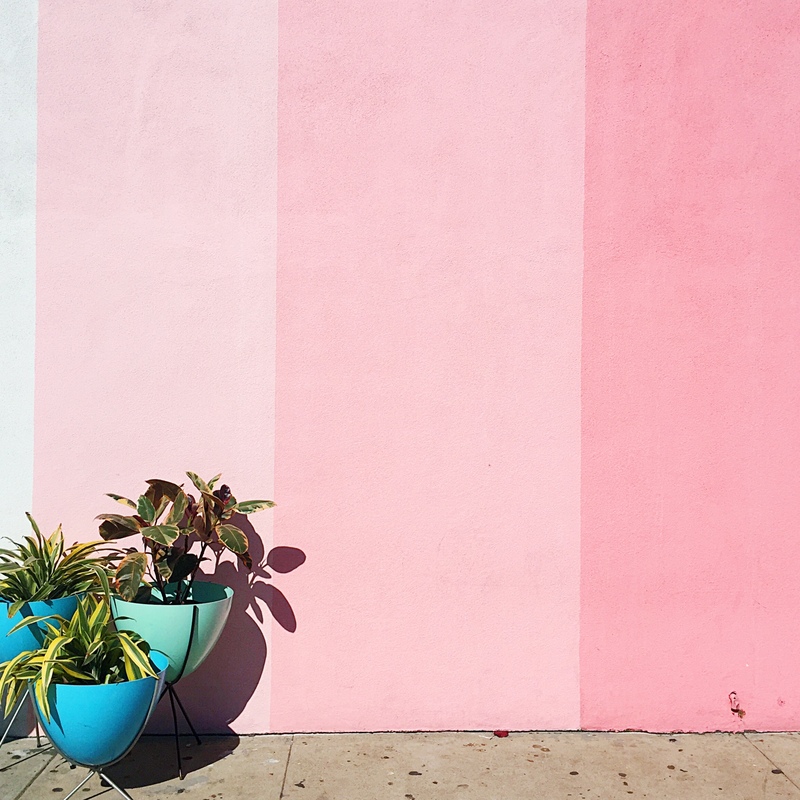 With all this said, I’ve compiled a list of San Diego hotspots that maximize the use of pink. So go get your calm, love, and optimism on and check out these places this month! 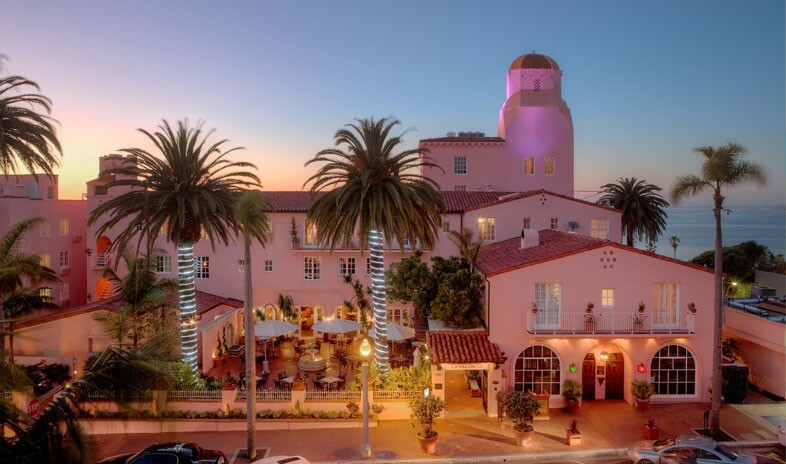 La Valencia – The iconic hotel in La Jolla Village is notorious for its pink exterior and accents throughout. Sitting on the coast, you can’t beat their panoramic views of the Pacific. 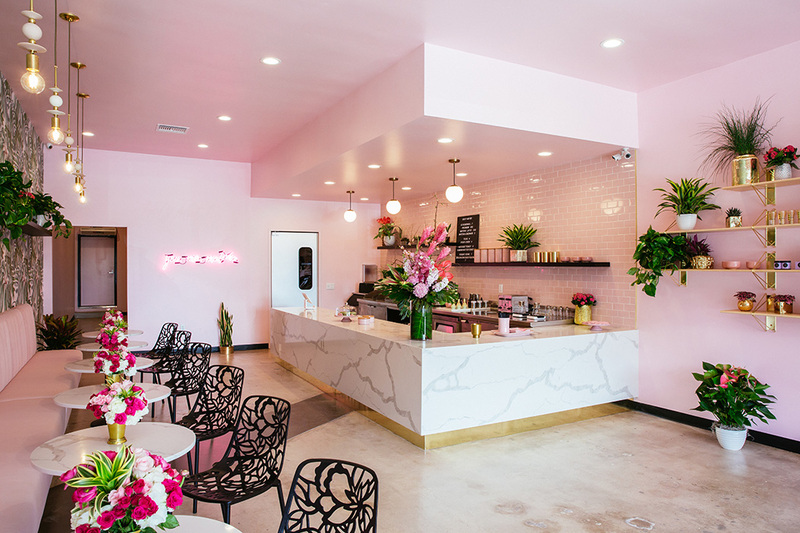 Holy Matcha – An Instagram lover’s dream, fulfill your every Matcha fantasy at this cafe… just make sure you take pics while you’re there, trust me. Pigment – This lifestyle boutique carries the most savvy and unique products, and their stores curate a shopping experience full of design and color. Oh and they have a pink ombre wall. 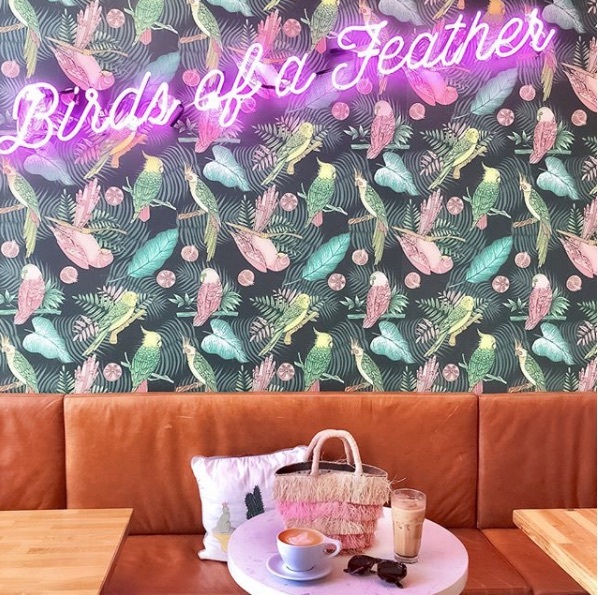 Parakeet Cafe – With two locations in La Jolla and Little Italy, there is no excuse not to check out this health-conscious spot with an array of specialty drinks, including a pink beet latte. 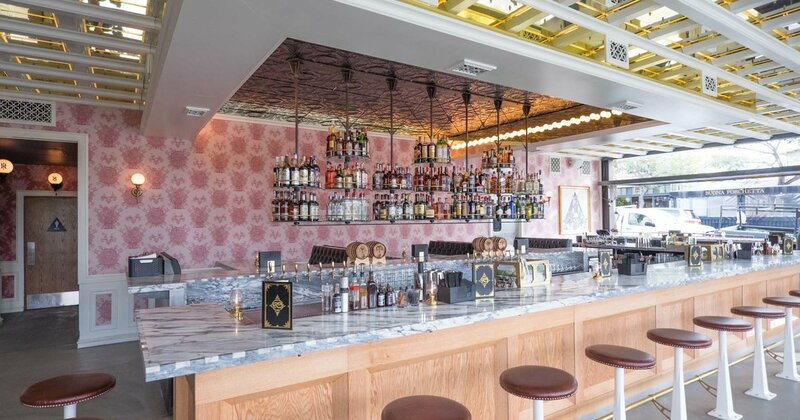 Kindred – This hot South Park bar just happens to also be vegan! With crafted cocktails, a unique vibe and healthy food that also tastes great, there is no reason this shouldn’t make your list. Lucha Libre – Building on the quality Mexican food San Diegans are accustomed to, this gourmet taco shop aims to deliver never before seen menu items and improve on classic taco recipes. Oh and it’s themed based on the Mexican wrestling known as Lucha Libre! Cloak and Petal – With an upscale Japenese restaurant comes cherry blossoms of course! 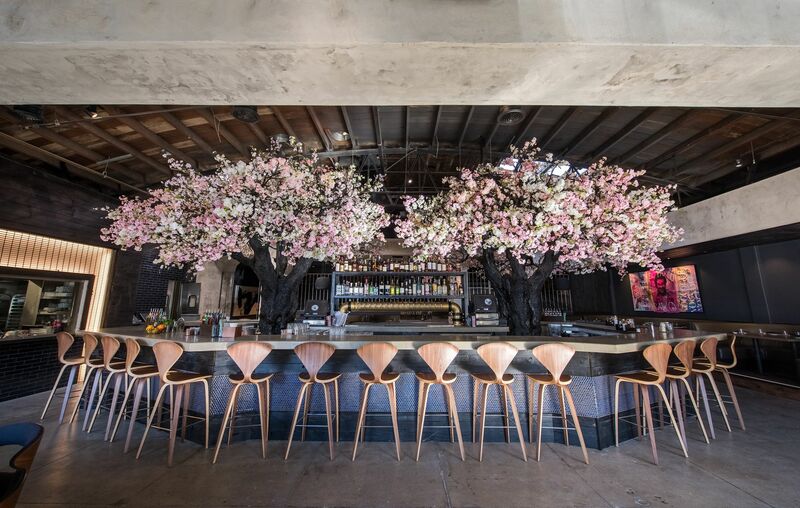 The whole restaurant and bar has been built around the blossoming trees and their pink florals serve as the focal point of this restaurant. Not to mention their art collection is goals. 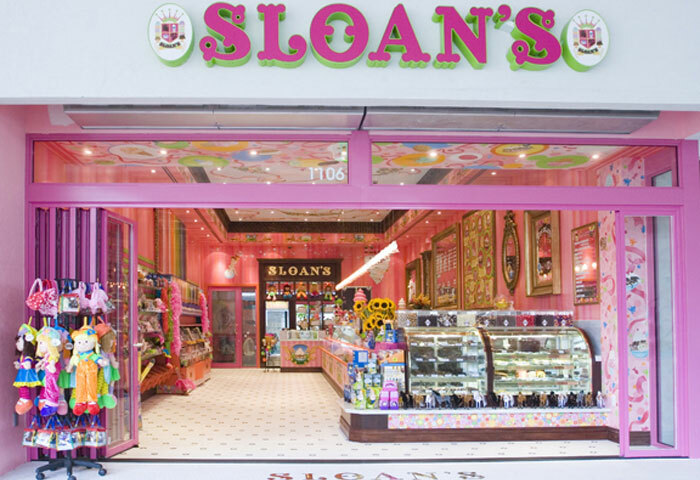 Sloan’s Ice Cream – I dare you to walk by this ice cream shop and not go in. Their heavenly aromas from their freshly baked waffle cones are paired with their award winning ice cream that has customers coming back again and again! Let us know your favorites!! Happy February!